What if you could quickly find a lead compound that is effective and safe with complex characteristic requirements? What if you could use the same knowledge to find multiple, diverse compounds? Medisyn's Forward Engineering™technology does this with ease. Medisyn uses data science and computational chemistry methods to identify novel bioactive properties of compounds. We call it Forward Engineering™. Our data science and computational chemistry tools can be applied over a number of industries. 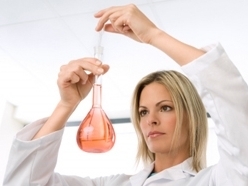 We got our start in pharmaceutical projects and have extended into natural products and material sciences. For over 20 years, Medisyn's technology has helped discover new compounds for a variety of applications and has collaborated with customers worldwide to commercialize them. © 2019 Medisyn Technologies, Inc. All Rights Reserved.